Have you ever stopped to count how many ads you see or hear every day? Would it surprise you if I said at least 200? I didn’t think so. You also know that cutting through all that noise is a monumental task. People are overwhelmed. They’re tuning out. Guess what? That’s not new. We’ve been honing our selective attention skills for centuries. Can you remember the last time you listened to a commercial? When did you sit to read the whole magazine, cover to cover? How about the last time you read more than the first couple paragraphs of a newspaper article? Exactly! Independent publishers are no different than any other industry when it comes to getting – and keeping – someone’s interest and attention. The advantage we have is a rock-solid sense of our demographic. We can’t afford to do a “spatter campaign”. It is one of the reasons why we can look at our market and hone our messages or change directions so effectively. So why am I rambling on about what you already know? I am so glad you asked! Before we start talking about social media, I wanted you to see that core marketing concepts have not changed. We are challenged to set ourselves apart from our competitors. We are on a quest to reach consumers who are bombarded with information. No matter what the label (social commerce, social influence, social marketing), the fundamental elements have not changed. What social media offers are new – and often free – marketing portals with direct access to your consumers. Please don’t take that to mean I’m suggesting that you give up print advertising. Marketing and advertising are two different things, and you need both. One of the first things I explain to students is that before we sign up for Facebook or start adding pictures to Instagram, we need to understand two things. Where our target audience is. What our marketing strengths are. The answers are likely to be found in your mission statement and/or strategic plan. In the coming months, I’ll be explaining some of the terms of this new marketing arena. I’ll also be offering platform-by-platform discussions so you can decide whether Facebook, Pinterest, Instagram, Tumblr, Twitter, Diig, (you get the idea!) is the right tool for your marketing effort. Ultimately, I hope that we can get a discussion going. We can start today if you like. Just add a question or idea in the comments. What platform would you like me to talk about first? 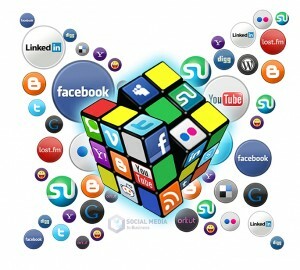 What do you see as your biggest challenge for using social media channels? About the Author: Terry is a voracious reader with a keen analytical eye and a lifelong passion for writing. Combine a passion for reading and kids, a natural affinity for analysis, and a love of solving puzzles, and you’ve got Terry. Before becoming a Mom in late 2001, she spent nearly 20 years as a research analyst, supervisor, mentor, trainer, and analytical program manager with the federal government. She has drawn on her acclaimed expertise as a national security analyst in her roles as senior editor and publishing director for an independent house; and mentor for both her consulting business & flourishing literacy nonprofit. Now, she uses those extensive skills in research, analysis, writing, editing and interpersonal communication, in three roles: Mom; Executive Director of The Reading Tub®, a family literacy nonprofit; and Director of New Media & Alumni Education for the Mom’s Choice Awards. Terry is a dedicated, lifelong student, always eager to share her expertise with those eager to learn. She heartily ascribes to Thomas Jefferson’s statement: “I cannot live without books.” Learn more at maestromarket.com.